Baby’s Photo, with hand or foot Clay Print. Customise it with stickers to show your baby’s name and date of birth. With blue or pink backgrounds for a boy or a girl. 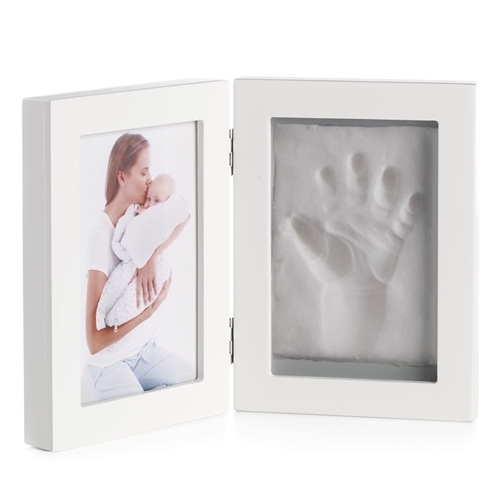 You will be able to keep your baby’s hand or footprints forever. The frame has 2 front compartments, one for the photo and the other for your baby’s print. The compartments are separated by hinges so you can fold it to required positions. Each Frame size 13 x 18 cm.